To educate our members and to enhance their appreciation of wine by hosting monthly wine tastings and various wine and food activities. We explore the wine regions of the world and the Pacific Northwest in particular. Founded November 1980 as a nonprofit 501(c) corporation registered with the state of Washington. We average close to 100 members with 50 members and guests typically attending monthly programs. 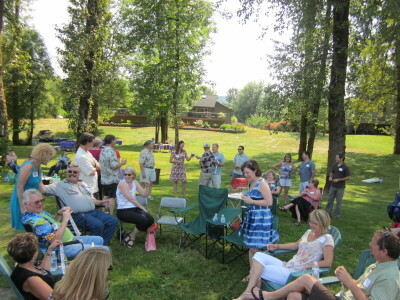 We have an annual picnic each August with plenty of great food and wine. 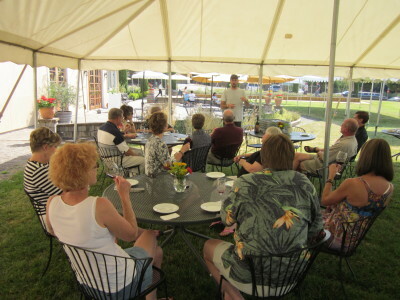 Winery tours are organized to vineyards and wineries in Oregon and Washington. Occasional special events are planned for members only. Click the button below to download our membership application. ​ Then bring your application to the next CWES event and receive the member's program fee. Attendance at events are open to society members and guests. Whatever your current expertise, we invite you to learn about fine wine with like-minded friends. You must be 21 years of age or older to join or participate in CWES events. Annual membership dues in the society are $35 per person and $70 for a couple. Our membership year is September through August. A typical program fee is $30 for society members and $40 for guests. Some fees vary based on the program and are noted in the monthly program announcement. To join the society simply fill out the short membership form (download button below) and pay the annual dues. You will be entered in our society database and receive email announcements about programs and events. Contributions to CWES are tax deductible. What can I expect as a CWES Member? As a society member, you will learn about the world of wine with like-minded friends. Members receive a substantial discount on program fees. We have several “member only” events during the year. Some activities include the opportunity to buy wine at cellar club pricing. 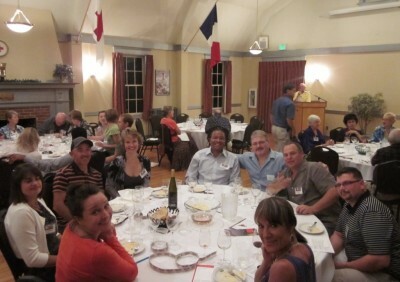 Members come from all walks of life, but share a common interest in good wine, good food, and good friends.